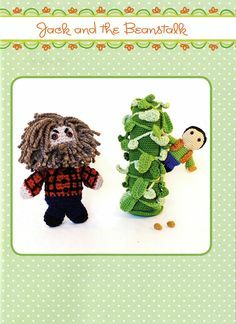 I spotted these new releases on The Little Stitcher's blog and thought of you. Thanks for sharing, Jo, and thinking of SurLaLune. 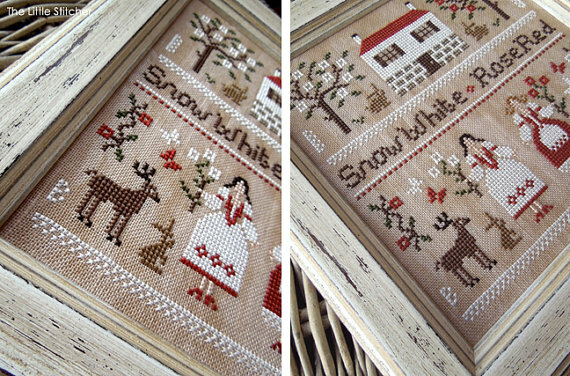 If you are curious, you can also visit Jo's blog at Serendipitous Stitching. These images come from the designer's blog at The Little Stitcher. They are available for sale in her Etsy Store. 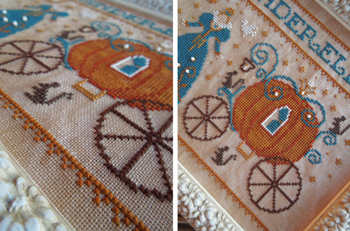 For these designs I wanted to put together some details of two versions of the story of Cinderella, the first by the Brothers Grimm and the second by Charles Perrault. I warmly suggest you to read both fairy tales because they are beautiful, much more the cartoon adapted by Disney. The detail of the Fairy Godmother, who asks Cinderella to bring her a big pumpkin, and then the mice - and even six lizards that the Fairy turns into lackeys - comes from the fairytale collected by Perrault, while in the version collected by the Brothers Grimm, which in my opinion is so sweet, there is the lovely white bird, which lives on a hazel tree grown on the grave of the mother of the maiden. The bird hears the prayers of Cinderella and launches her the clothes she will wear in the three evenings of dance at the court. In both tales there is the detail of the little shoe left at the castle, but if in Perrault's version it is made of transparent glass, in the one by the Brothers Grimm it always change, depending on the different and beautiful dresses worn by the girl. 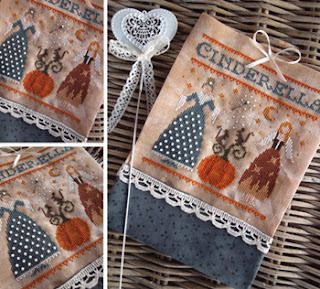 I am tickled that the designer is Italian and chose to draw inspiration from the German and French Cinderellas. No murderous Cenerentola for her! 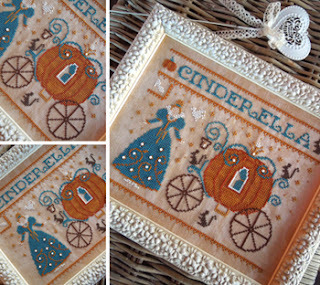 But I am thrilled that she has also created designs for other fairy tales. 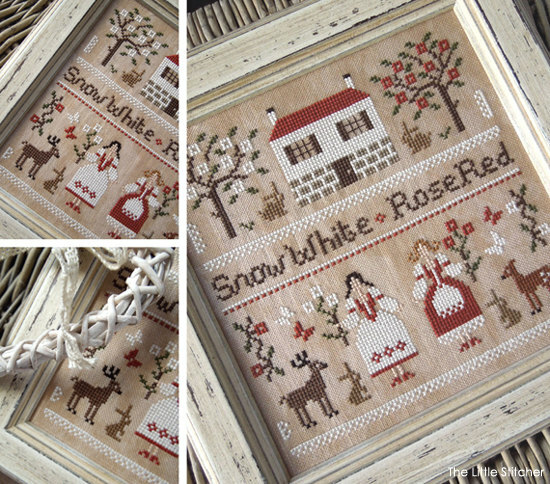 If you have always wanted to stitch Snow White and Rose Red, here's your chance! She has that pattern, too. She has a few other surprises in her shop, too, but I think I will save those for later. Unless you want to spoil the surprise and visit her shop yourself. A reminder that ICFA 37, the Thirty-Seventh International Conference on the Fantastic in the Arts will take place in just a few weeks March 16-20, 2016 in Orlando, FL. The theme for this year is "Wonder Tales." I will be attending the entire conference and will sit on one panel, #95 Wonder Tales in Conversation on Friday of the conference. Where Is the Pointy Hat and the Magic Broom? What Might Witches Look Like in Japanese Video Games? The Carnival of Oz: A Bakhtinian Reading of the Wonderful Wizard of Oz – and two adaptations! The Shadow Queen (Ravenspire) by C. J. Redwine was released last week in the US. It will be released on March 3 in the UK. This is a Snow White retelling if the black apple on the cover wasn't obvious enough. :) I sometimes miss those clues myself. Redwine has a following from her Defiance series and this new book in a new series is getting positive reviews. Crochet Stories: Grimms' Fairy Tales (Dover Knitting, Crochet, Tatting, Lace) by Vanessa Putt is today's Crafty Friday offering. I couldn't find many images to share but there's enough to entertain for today. O wonderful, wonderful, and most wonderful wonderful! And yet again wonderful, and after that, out of all hooping. Yes, it is a little strange to use Shakespeare to discuss a new book about Greek myths but it perfectly describes my happiness about this new release. Echo Echo: Reverso Poems About Greek Myths by Marilyn Singer (Author) and Josee Masse (Illustrator) is officially released today. This makes the third offering by this team. I have gushed over their earlier two books plenty of times, see New Book: Mirror Mirror: A Book of Reversible Verse by Marilyn Singer and New Release: Follow Follow: A Book of Reverso Poems by Marilyn Singer to read about those. Well, this book doesn't use fairy tales but mythology for inspiration. Remember, you can click on images to see them larger and to read the sample pages of poems I am sharing here. What happens when you hold up a mirror to poems about Greek myths? You get a brand-new perspective on the classics! And that is just what happens in Echo Echo, the newest collection of reverso poems from Marilyn Singer. Read one way, each poem tells the story of a familiar myth; but when read in reverse, the poems reveal a new point of view! Readers will delight in uncovering the dual points of view in well-known legends, including the stories of Pandora’s box, King Midas and his golden touch, Perseus and Medusa, Pygmalion, Icarus and Daedalus, Demeter and Persephone, and Echo and Narcissus. These cunning verses combine with beautiful illustrations to create a collection of fourteen reverso poems to treasure. This means that the reading the poem in one direction tells the story from one perspective. Then reading the reverso poem gives a different character's perspectives on the events of the tale or myth. It makes an excellent classroom book for teaching writing, perspective, fairy tales, so much! Finally, the poems are enhanced by Josée Masse's illustrations once again. The bright colors and opposites portrayed are charming and will pull in younger readers. I love them myself. And really, this book is for all ages, especially who enjoys clever writing and stories, in this case mythology in particular. A few years ago I wrote about sharing a favorite book with my niece Kensie at Three Billy Goats Gruff Toys and My Favorite Book Version. She still enjoys the story sometimes but her brother Clark has taken over biggest fan status. I wrote about my storytime adventures with him a little last week at Family Moment: The Three Little Rigs by David Gordon, but he also surprised me with this one--he actually surprised the entire family since his grandparents, Mom, and Uncle John were in the room, too, albeit mostly doing their own things. This has been a standard in my book bag for years and particularly with Clark since about last summer when he was 2.5 years old. Again, we hadn't read it in several months and he has other versions in his home library, but not this one. He pulled out the book--The Three Billy Goats Gruff by Mary Finch (Author), Roberta Arenson (Illustrator)--and the Manhattan Toy finger puppets set that I have used for storytimes for about 15 years now. The text is perfect for reading aloud and the illustrations suit a larger audience sitting at your feet. So I'll have you for my dinner." Turns out, Clark does, too! I've read the book several times to him as I mentioned but not in a while. When we got to the Troll's "song" the first time in the book, suddenly Clark was reciting all of the words before I could. See, non threatening overall with playful colors although the troll is brown and mean, but not too mean. In the finger puppet set, the middle goat is a sister, not a brother, which adds to the fun. And while the colors are muted in the page image above, the goat is actually a bright fuschia pink in the book edition I have. I don't know if that has changed in newer editions. So it's a fun version with a fun song that now Clark gets to sing without me when we share the book. Cinderella Ate My Daughter: Dispatches from the Front Lines of the New Girlie-Girl Culture by Peggy Orenstein has been temporarily dropped to $1.99 in ebook format. It was $2.99 a few years ago during another sale, but this is the lowest price I've seen for it to date, probably the lowest it will ever be. I posted some thoughts and opinions about the book a few times when it was released, see New Book: Cinderella Ate My Daughter: Dispatches from the Front Lines of the New Girlie-Girl Culture and More Cinderella Ate My Daughter. As I've said previously, for this price, it's a good book to have around as a touchstone in the fairy tale gender discussions, although the book is more slanted towards Disney discussions specifically if I remember correctly. I've continued to see articles related to the book in the three years since it was published, so this has been an important influence in recent discussions in the mainstream world. The Book Lover's Cookbook: Recipes Inspired by Celebrated Works of Literature, and the Passages That Feature Them by Shaunda Kennedy Wenger and Janet Jensen is on sale for 99 cents in ebook format. No, there are not any fairy tales inside, but there are books that draw from fairy tales, like Lion, the Witch and the Wardrobe by C. S. Lewis and Jane Eyre by Charlotte Bronte. This has been on my wishlist for a while so I was thrilled to add the ebook version to my library for a buck. There is a treasure trove of books I love saluted within. Wake up to a perfect breakfast with Mrs. Dalby's Buttermilk Scones, courtesy of James Herriot's All Things Bright and Beautiful and Ichabod's Slapjacks, as featured in Washington Irving's The Legend of Sleepy Hollow. There's homey comfort food like Connie May's Tomato Pie, created with and inspired by Connie May Fowler (Remembering Blue); Thanksgiving Spinach Casserole (Elizabeth Berg's Open House); and Amish Chicken and Dumplings (Jodi Picoult's Plain Truth) . . . Sample salads, breads, and such soul-warming soups as Nearly-a-Meal Potato Soup (Terry Kay's Shadow Song); Mr. Casaubon' s Chicken Noodle Soup (George Eliot's Middlemarch); and Mrs. Leibowitz's Lentil-Vegetable Soup (Frank McCourt's Angela's Ashes) . . . After relishing appetizers and entrees, there's a dazzling array of desserts, including Carrot Pudding (Charles Dickens's A Christmas Carol); Effie Belle's Coconut Cake (Olive Ann Burns's Cold Sassy Tree); and the kids will love C.S. Lewis's Turkish Delight from The Lion, The Witch, and the Wardrobe. Sprinkled throughout with marvelous anecdotes about writers and writing, The Book Lover's Cookbook is a culinary and literary delight, a browser's cornucopia of reading pleasure, and a true inspiration in the kitchen. Shaunda Kennedy Wenger is author of two YA/MG novels: The Ghost in Me and Reality Bites, Tales of a Half-Vampire (2012 Book of the Year Award Finalist, ForeWord Reviews), as well as an award-winning chapter book: Little Red Riding Hood, Into the Forest Again. Her newest cookbook, From Rivets and Rails, Recipes of a Railroad Boarding House Cookbook, is based on the cookery journal of her great-grandmother. Her work has been published in Babybug, Ladybug, Wonder Years, ByLine, and Short-Short Stories for Reading Aloud (The Education Center, 2000). She regards her monthly book club meeting as one life's essential ingredients. Janet Kay Jensen is author of Don't You Marry the Mormon Boys (Cedar Fort) and the upcoming Gabriel's Daughter's (Jolly Fish Press). She has received numerous awards for essays, poetry, and short stories, including three ByLine Magazine honorable mentions. A speech-language pathologist, she holds degrees from Utah State University and Northwestern University. She is writing a novel, teaches poetry classes to jail inmates, and is a literacy tutor. Married and the mother of three sons, she is a consultant at Utah State University. Summer's Day Cucumber-Tomato Sandwiches . . .
. . . and many other delectable dishes for the literary palate! So last week I gained a very great affection for The Three Little Rigs by David Gordon. Why? Family, of course. About once a month, I take a small suitcase filled with books and puppets and such to visit my sister's family. Kensie and Clark, my niece and nephew, are 6 and 3 years old, so Clark is overall more interested in most of the books and puppets these days since Kensie is aging out on some of the younger books for now. (Not that I ever did.) She loves books, bless her parents who have been literally reading to her every day since the day she was born, and this visit coincided with her birthday. She was as excited about the books I gave her as any of her other gifts. She and I had some fine reading moments that day, too, but this is about Clark this time. Clark is all boy and his attention span is getting shorter although he is a great reader, too. But he likes to be on the move. And he loves, loves, LOVES vehicles of all kinds. So I have peppered my offerings with various books over the last year. In the fall, I added The Three Little Rigs to my bag. We have read it about three times together now. Problem is, I wasn't sure if he was enjoying it. I had removed all of the regular books from my bag to make room for holiday titles. And The Three Little Rigs failed to make it back in the bag this month. I had reshelved it and forgotten it. So Clark and I read about three books when he went digging in my bag again and looked up at me with a plaintive look in his eyes. "I want the Big Bad Wrecking Ball," he said. I looked back at him blankly for a few seconds before it hit me he was requesting this book. He hadn't had it read to him in over two months, but he remembered it and requested it. I was suddenly just as disappointed as he was that it wasn't in my bag. So if you have a child in your life who loves, loves, LOVES vehicles I also recommend this one. It is still in print and a reasonable price. David Gordon also wrote Hansel and Diesel and The Ugly Truckling which I didn't own but have now ordered so I have them to share with Clark when I see him again later this month. They are out of print so their prices fluctuate wildly. And, yes, the first time we read it, Clark understood perfectly well that this was a Three Little Pigs story. He prefers this version though because VEHICLES. I always make sure there are fairy tales on offer in my bag but that isn't all I add. So it is a sweet moment for me when the fairy tales are beloved by the kids, too. "Little rig, little rig, let me come in!" "Not by the chrome on my chinny chin chin." "Then I’ll crash and I’ll bash and I’ll smash your house in." When the three little rigs set out to build their own garages, each one thinks that his is going to be the strongest. But then the big bad wrecking ball comes to call and threatens to smash their new homes to smithereens. The brothers learn that it’s only by bravery and teamwork that they can win the day. A comic sequel to the ugly truckling.